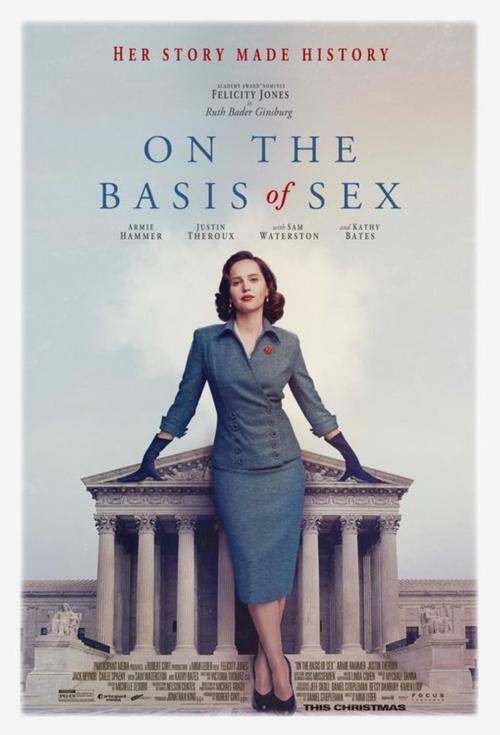 Inspired by the true story of Supreme Court Justice Ruth Bader Ginsburg (Felicity Jones) in her early years as a struggling attorney and new mother facing adversity and numerous obstacles in her fight for equal rights throughout her career. When Ruth takes on a groundbreaking tax case, she knows it could change the direction of her career and the way the courts view gender discrimination. The film also chronicles the storybook-like romance between Ruth and her husband, attorney Martin Ginsberg (Armie Hammer), a partnership that succeeded both personally and professionally.